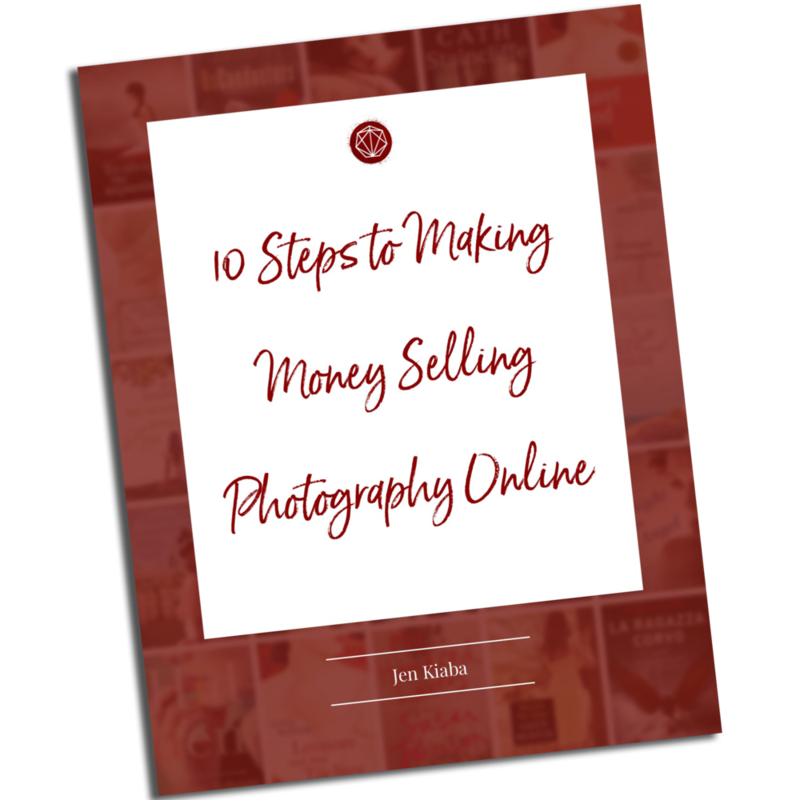 Have you ever wondered how to sell your photography for book covers? Once upon a time, selling my photography on a book cover seemed like an impossible dream for me. You know, the kind of thing that could happen for other photographers but not me. It all started one rainy fall afternoon in a cafe in Woodstock. My photography mentor and I at the time liked to meet there regularly for coffee to talk about art and our dreams for that art. That day, perhaps on a whim, he said, "Wouldn't it be great to sell our photography for book covers?" My eyes lit up and my hands gripped my coffee mug a little bit tighter. "Yeah," I said a little breathlessly. "It would be amazing. How do we do that?" He shrugged. "Not sure," he said. "Well, there's got to be a way if other people do it," I mused. "I think they probably just get lucky," he responded. "But wouldn't that be great?" He took another sip of his coffee, and was on to another subject. For him the moment of inspiration had passed. From that day on I became a little, well, obsessed with that question of "How." After our meeting that day I went home and fired up my computer (yes, this was before the era of the smartphone if you can believe it!). Even after scouring Google, I couldn't come up with an easy answer of how I could begin selling my photos for the book cover market. It seemed like the answer was a well-kept secret. Disappointed, but not discouraged, I spent the next several months looking for answers to my question. Eventually, through forums like Flickr, I began to meet other photographers who had succeeded in selling their images and getting them on to book covers. There I was introduced to the concept of licensing photography, which is a subject that I recommend all photographers become familiar with. One is to be approached by a publishing house, musician or publication that is interested in using your work, or having you create an original piece for them. This requires having a solid portfolio that is optimized to be found on a search engine like Google. It also requires that you, as the artist, negotiate a fair price for your work and handle all of the contracts and manage the usage rights for your work. The second option is for your work to be represented by an agency. The stock agency acts as an image library and handle everything from marketing and managing relationships with publishing houses to keywording your images and negotiating usage and pricing. As a young photographer at the time, the idea of handling everything myself made my eye want to cross! So I decided that I would get myself an agent! Over the next few months I would spend hours at the bookstores, checking the backs of books to see if I could begin to decipher which agencies were the best players in the book cover market. Armed with a notebook and a pen, I began making a list. Once I had my top ten prospects, I turned back to the internet to visit the websites of those agencies. Most agencies will accept submissions, and many detail that submission process on their website. In the intervening years I have also been contacted directly to join an agency. But in the beginning, your best bet for becoming represented is to make yourself known by submitting. Many agencies want to see at least 20 -100 images in your first submission. So I gathered up my 100 best images, sent out a round of submissions and waited in anticipation. You can imagine my disappointment, weeks later, when all I received was a round of polite rejections. If your ego has ever been as fragile as mine was back in those days, I'm sure you can imagine how close I was to giving up. It was only the kind email from one agent that kept me going. He said, "Your style isn't quite in line with what we represent. Take a look around our website, keep shooting, and submit again in six months or so." I'll admit, I nursed my ego for a while before I rose to his challenge. But once I emerged from my pity party and took an honest look at my portfolio, I realized that he was right. Up until then I had only been shooting to satisfy my own creativity. Which is 100% my number one job as an artist. However, if I wanted to be an artist who sold her photographs for book covers then I realized that I had to make a shift. And so I took that agent's advice, and over the next six months I worked diligently to study the market, make note of what was selling and what various agencies were representing, and created a portfolio that I thought reflected that. This time when I resubmitted my portfolio, I felt that much more nervous. The stakes felt higher, and I worried what another rejection might mean about my ability to ever get my photos on a book cover. When a response came back from that same agent of six months prior, I almost didn't want to open the email. Holding my breath I pressed open. "These are much more in line with what we're looking for!" he wrote, along with a welcome to the agency. Shortly thereafter I had the biggest thrill of my life when I got my first royalty check, along with notice that I had sold my first book cover! Since then my photograph has sold for dozens of book covers all over the world, but to be honest it has never stopped being thrilling to find out about a new cover! Does this sound like a dream that you have for yourself? If so, I would love to help you out on your journey to accomplishing this goal. When I started, I had very few resources or tools available too me and so it took me nearly two years of set-backs and disappointments before I ever signed my first contract with an agency. Now my work is represented by four different agencies across the world. So I've taken everything that I've learned in both those early stages, as well as what I'm still learning along the way, and created the eCource called Learn to License!